Val Brelinski was born and raised in Nampa, Idaho, the daughter of devout evangelical Christians. From 2003 to 2005, she was a Wallace Stegner Fellow at Stanford University, where she was also a Jones Lecturer in fiction writing. She received an MFA from the University of Virginia, and her recent writing has been featured in Vogue, MORE, Salon, VQR and the Rumpus. 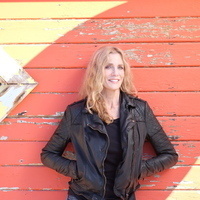 Brelinski has received prizes for her fiction from the San Francisco Chronicle, The Charlottesville Weekly and the Boise Weekly, and she was also a finalist for the Rona Jaffe Foundation Writers' Award. She lives in northern California and teaches creative writing in Stanford's Continuing Studies Program. Her debut novel, "The Girl Who Slept with God," is now available in paperback.